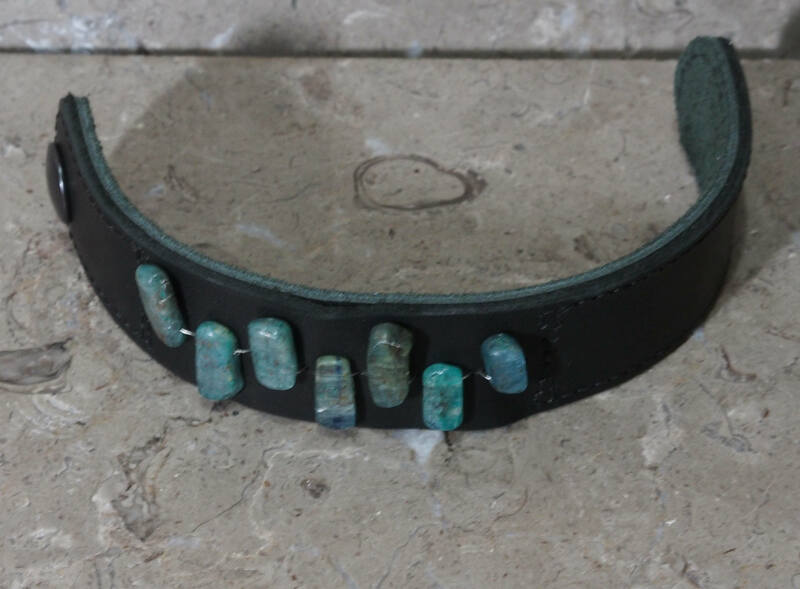 This soft black leather cuff is set with seven (7) kyanite chips woven thru the top layer of leather with silver beading wire, sandwiched with a second leather layer of dark green sueded cowhide. 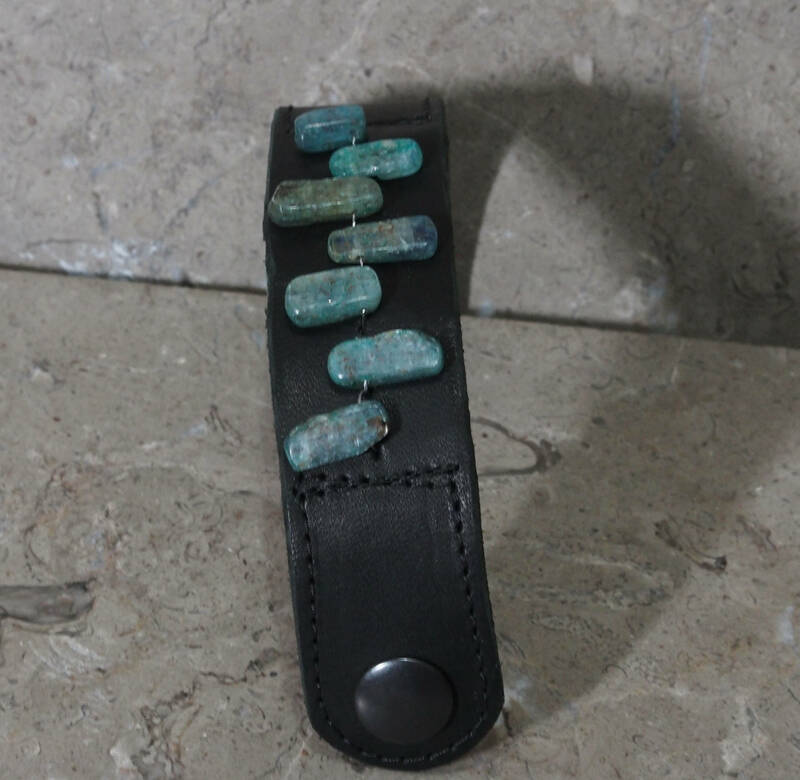 The band is best suited for 5" to maximum of 7.25" between snaps, with ease, this means 5" to 6.75" wrists. The size option will be listed for the actual wrist size. 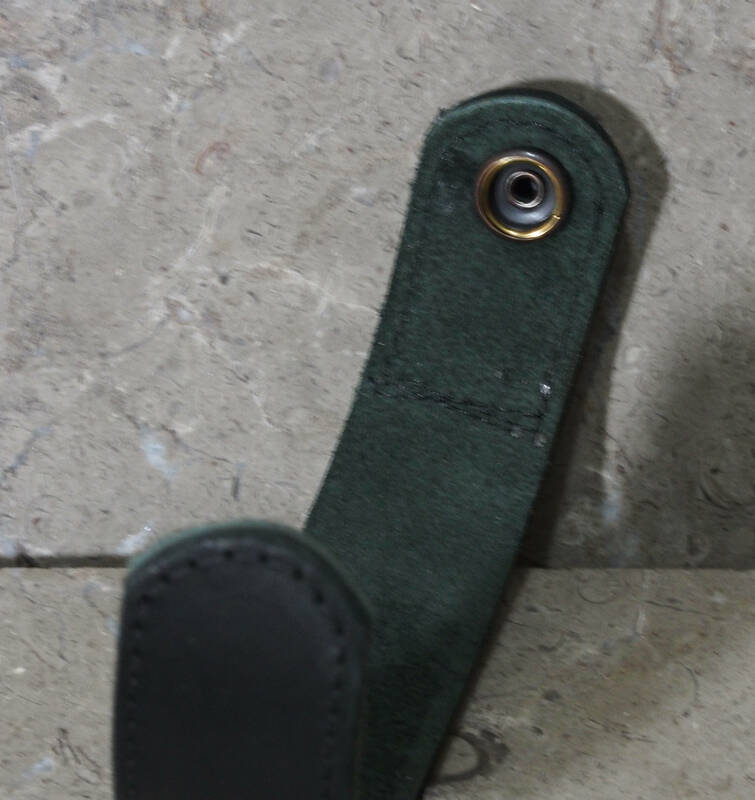 Given this strap is 1 1/8" wide, I allow for 1/2" ease, for a snug fit. 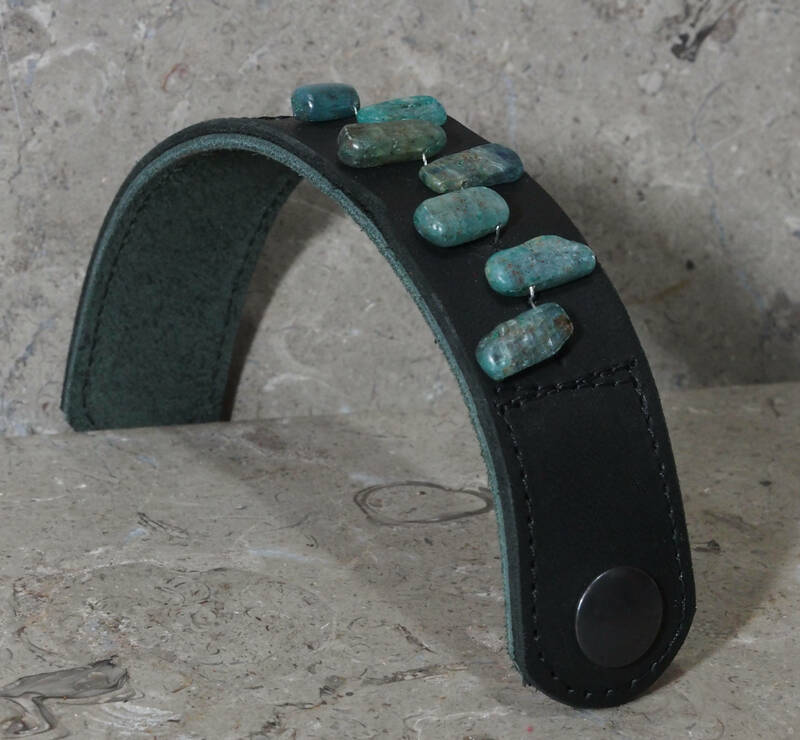 This cuff is shorter, so fewer size options & has different leather lining than another listing with 9 fluorite chips.